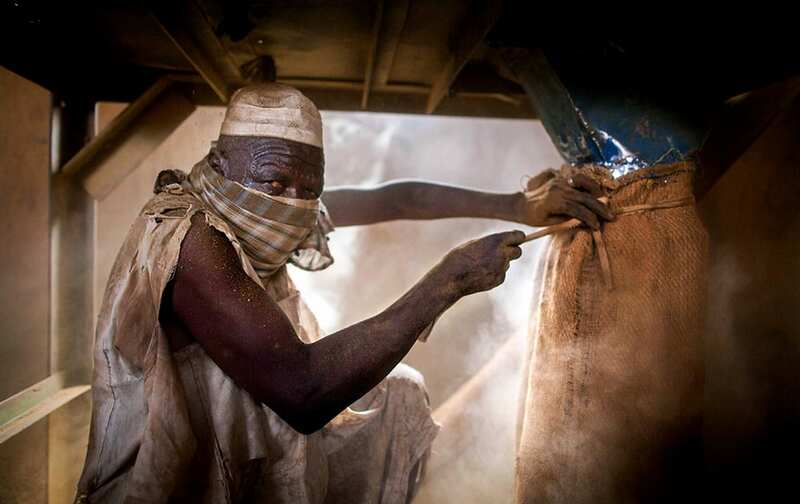 A Sudanese man works on Tombac, a popular chewing tobacco, at a market in El Fasher, North Darfur, Sudan. Tombac, one of North Darfur’s major cash crops, has very prejudicial effects on the health of the workers. June 5 is observed by the United Nations as World Environment Day. 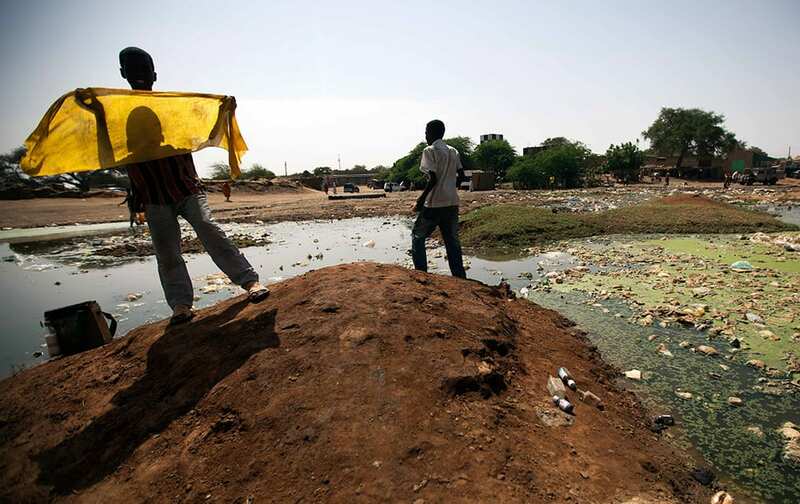 People collect disposable water for a car wash in El Fasher, North Darfur, Sudan. 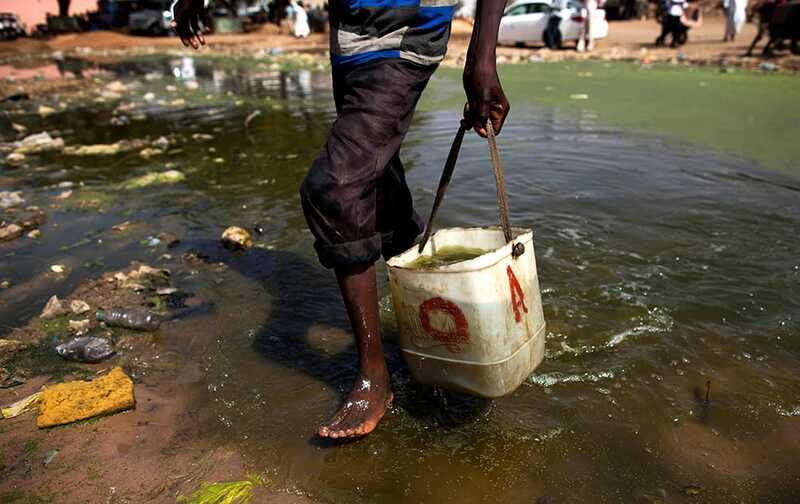 Environmental experts from the Sudanese government alert that frequent contact with standing water is dangerous to children`s health. June 5 is observed by the United Nations as World Environment Day. A boy collects disposable water for a car wash in El Fasher, North Darfur, Sudan. Environmental experts from the Sudanese government alert that frequent contact with standing water is dangerous to children`s health. June 5 is observed by the United Nations as World Environment Day. Children collect disposable water for a car wash in El Fasher, North Darfur, Sudan. 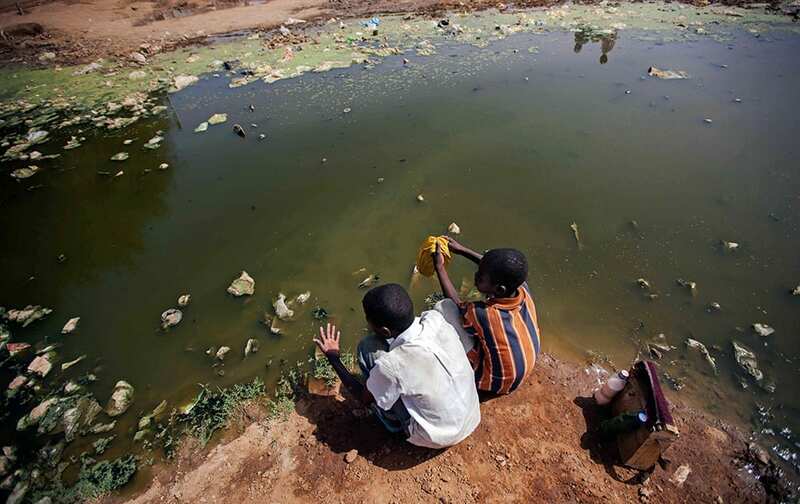 Environmental experts from the Sudanese government alert that frequent contact with standing water is dangerous to children`s health. June 5 is observed by the United Nations as World Environment Day. People walk at a market in El Fasher, North Darfur, Sudan. June 5 is observed by the United Nations as World Environment Day. 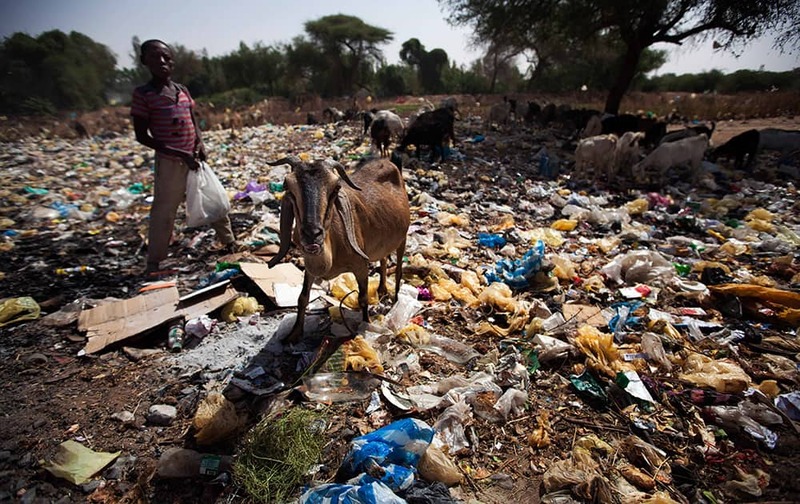 Goats eat waste in El Fasher, North Darfur, Sudan. 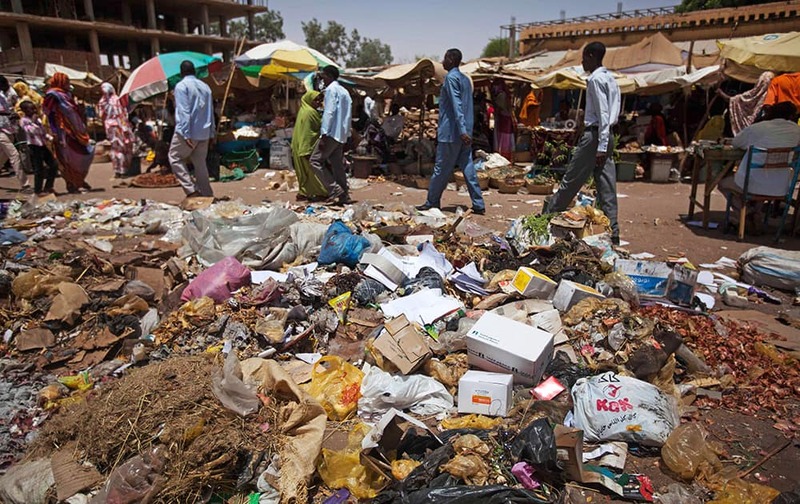 According to experts from the Ministry of Environment of North Darfur, many animals are fed waste and become a potential danger for the health of meat consumers. 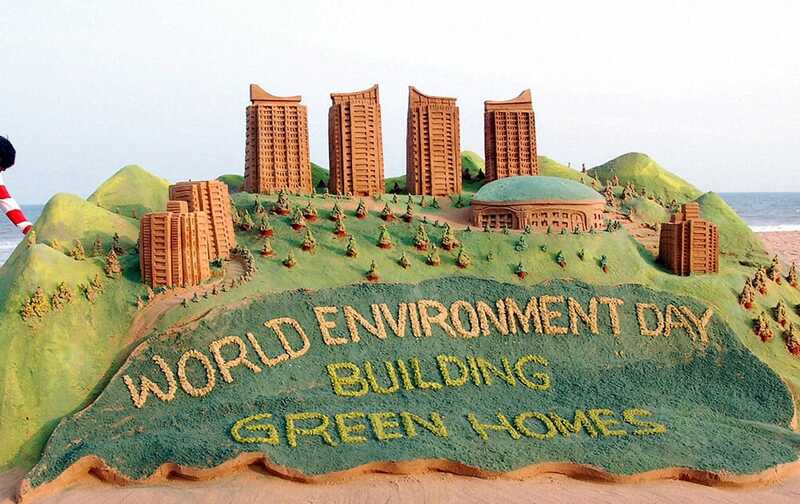 June 5 is observed by the United Nations as World Environment Day. 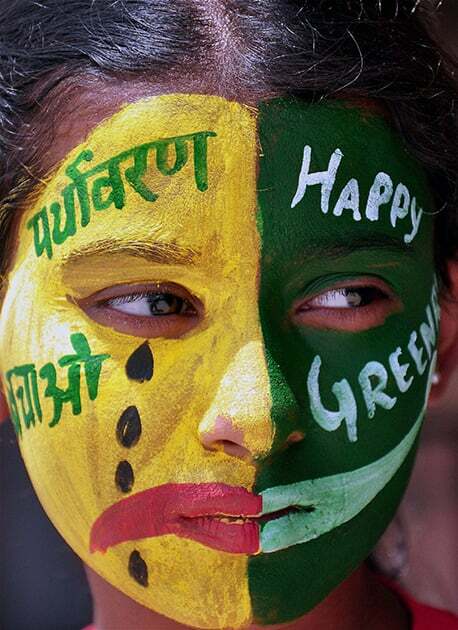 A girl paints her face to create awareness about environment on the eve of the `World Environment Day` in Bikaner. 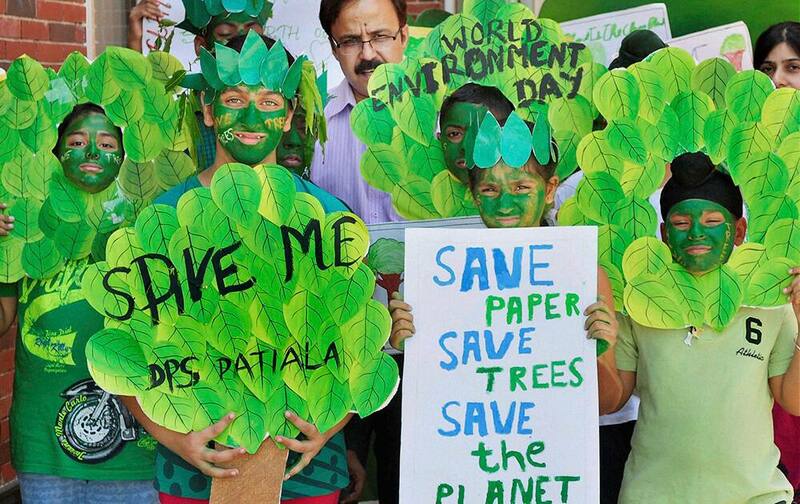 School students holding an awareness rally on the eve of World Environment Day in Patiala. 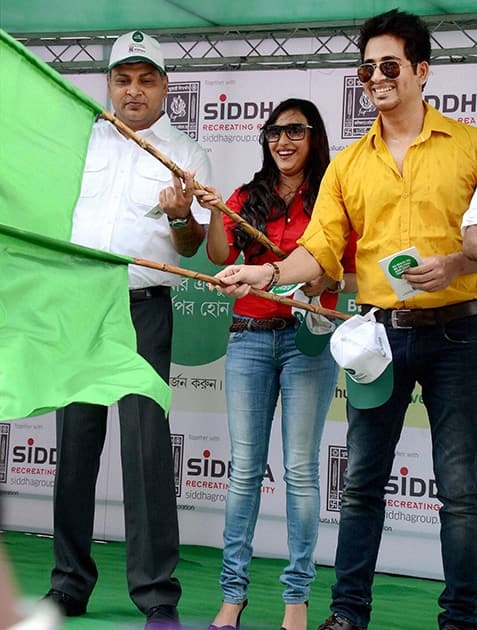 Tollywood actor Hiran Chatterjee and actress Sayani Dutta flag off the inauguration of vehicle to aware people ahead of World Environment Day in Kolkata. 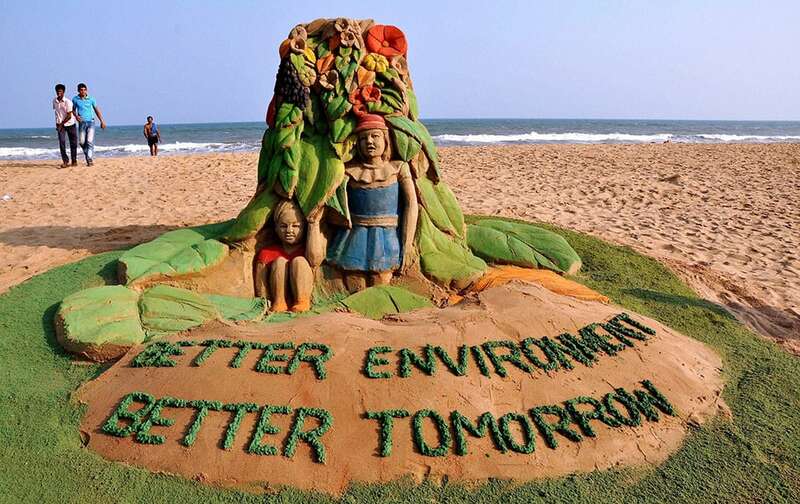 Sand artist Sudarsan Pattnaik creates a sand sculpture on World Environment Day at Puri beach in Odisha. 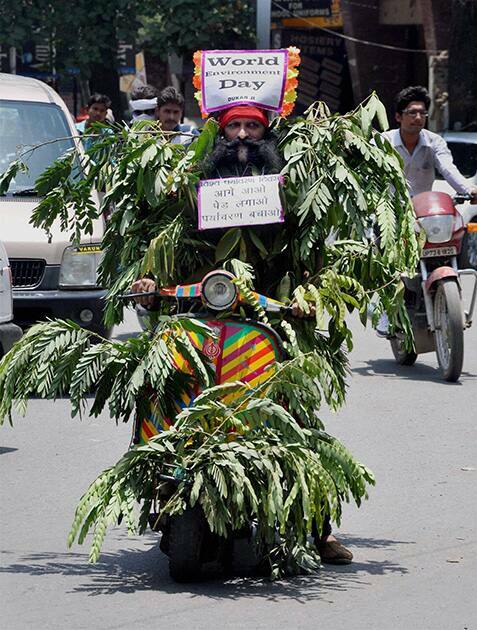 Guinness Record holder Rajendra Tiwari during an awareness programe on the occasion of World Environment Day in Allahabad. 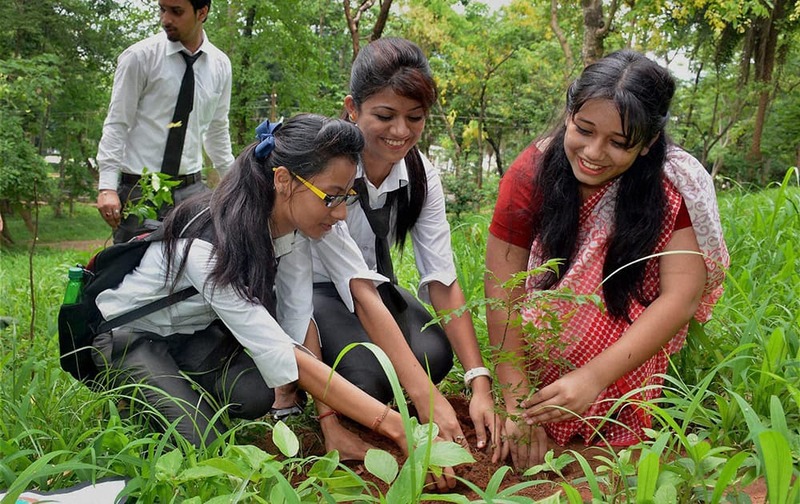 Students of Asian Institute of Management and Technology (AIMT) planting tree saplings at Assam State Zoo on the occasion of World Environment Day in Guwahati. 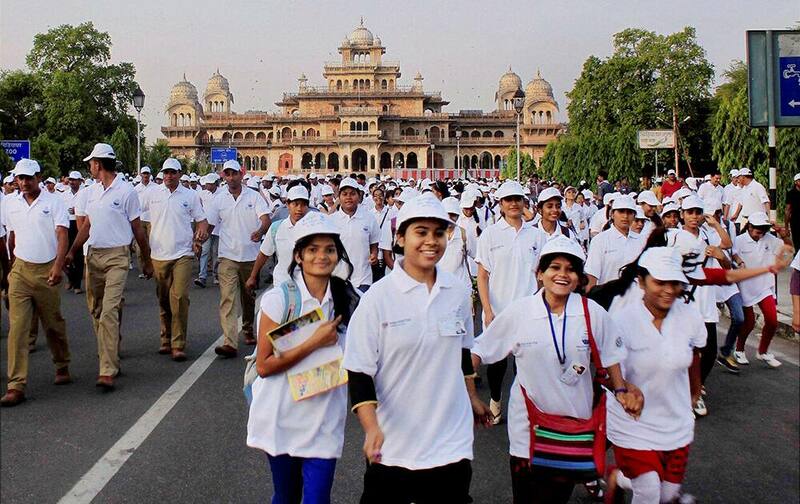 People taking part in an awareness rally on the occasion of World Environment Day, in Guwahati. 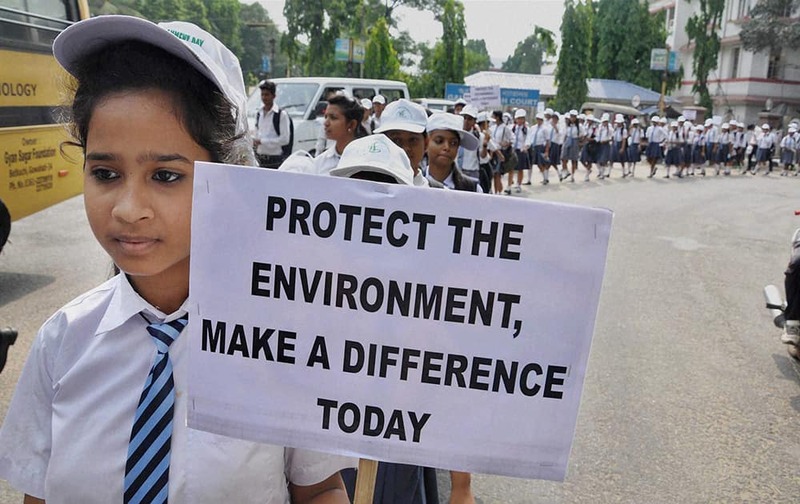 A school student taking part in an awareness rally on the occasion of World Environment Day, in Guwahati. 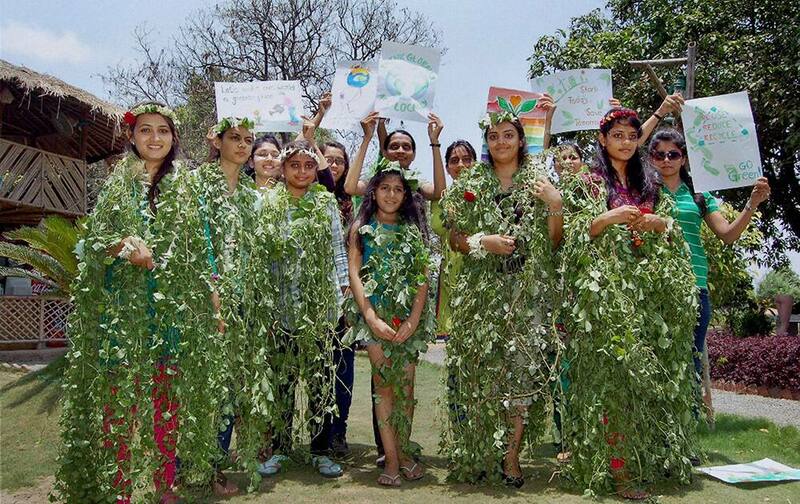 Students of Shree Ram Institute of Design (SRID) make costumes out of plants ahead of World Environment Day, in Surat.